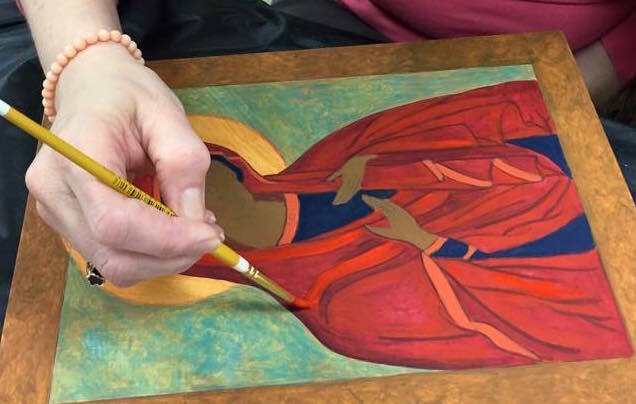 Iconographer and Art Therapist Brenda Fox will take you on a spiritual and artistic journey of silence, prayer and painting as you create a Byzantine style icon from start to finish. 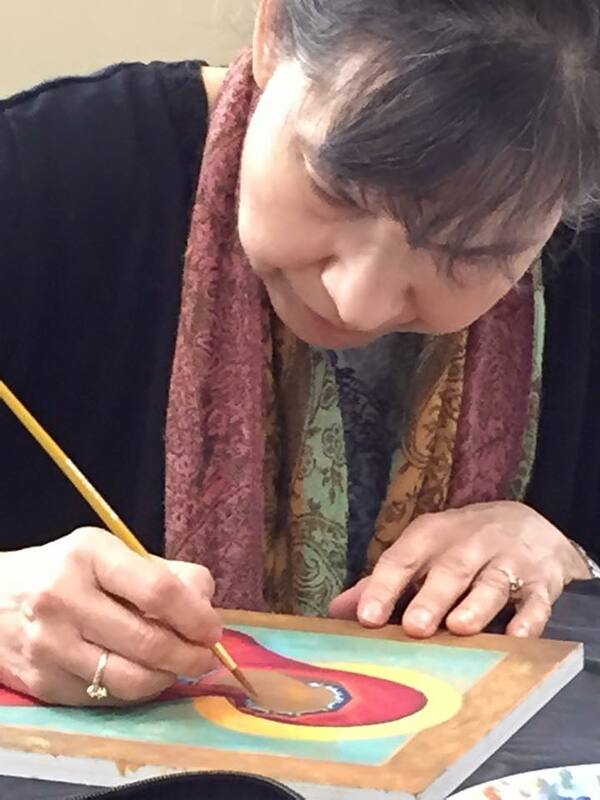 No former art experience necessary! "Eikon" is Greek for icon which means "Image: A Window into the Divine." 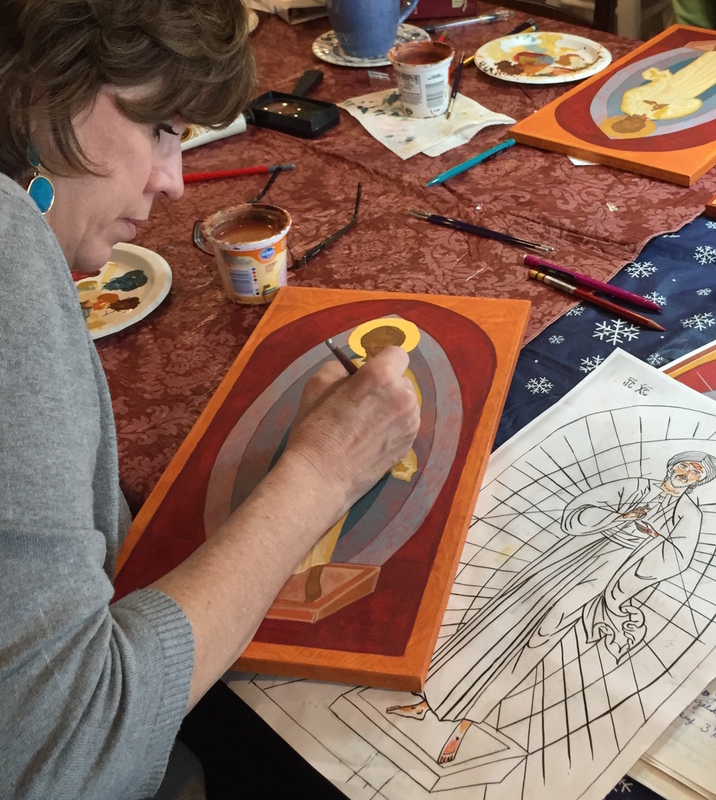 Icons are created in prayer for the purpose of prayer which tells the story of Christianity, or the Gospel in paint. 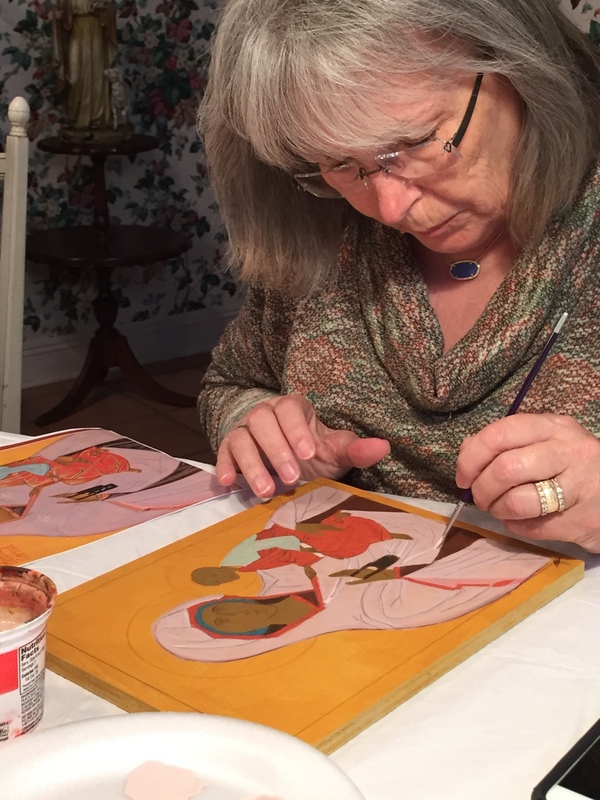 Brenda (above) teaching her students as they watch this demonstration of adding detail to the icon. Now it's their turn to practice what they've just observed.